First off: there will be a shop update tomorrow (Saturday) morning at 10:00 am - preview photos will be up by this evening for your perusal. I'm wearing a lot more of my handknits. I think a lot of us probably have vast piles of handknitted objects to hand but don't actually wear all that many of them. Or we end up wearing just a small subset of our collection. Or maybe, it's just me! 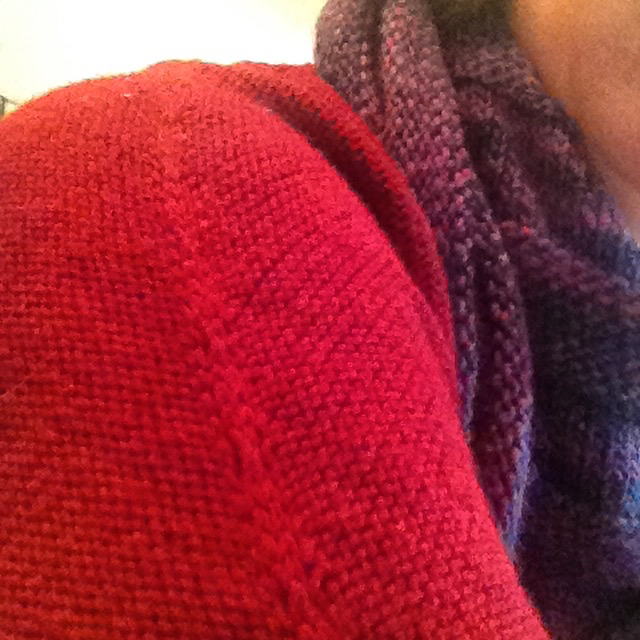 In any event, the #todayshandknit hashtag has inspired me to break out more of my woolly bits and wear them. The result is that I'm warmer and things that have been neglected are getting worn. Result! Items from top left to bottom middle: Handspun Garter Yoke Cardi and Windmill Bay Stole in Drops Alpaca; handspun Clapotis and Angostura vest in Cornish Tin; handspun Aestlight Shawl and Paris Beret in Classic Elite Lush; handspun Groovy, Oxford hat in baa ram ewe Titus, Butterfingers in Botany Lace; handspun vaniilla socks; Ravensprings Cowl in Noro Obi; Juniper in Campolmi Roberto Filati Baby (and Groovey); another handspun Clapotis with the Angostura vest and my current WIP, Dark & Stormy in SweetGeorgia superwash worsted. These are things worn in the last couple weeks of November, and I'm looking forward to a December collection soon. Want to join in? Use #todayshandknit and tag me (@porpoise_fur) on Instagram to play along.